Situated in the north-east of Tanzania. With their wide vistas, cool climate, winding paths and picturesque villages, the Usambara’s are one of Tanzanian’s highlights. 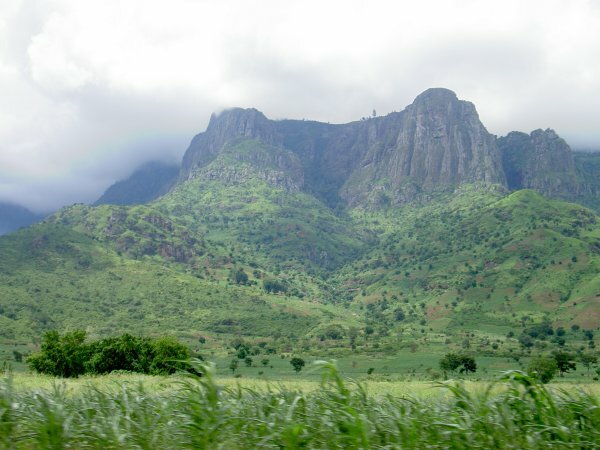 The Usambara’s are a part of the ancient Eastern Arc chain which mountains stretch in a broken crescent from the Taita hills in southern Kenya down to Morogoro and the southern highlands. They are estimated to be at least 100 million years old and the rocks forming them may be as much as 600 million years old. The mountains are home to an exceptional assortment of plants and animals and represent one of the highest degrees of biodiversity on the continent. The habitation of the Usambara´s goes back to at least 1,5 million years. Traces which are unique in world history were found near Mambo and still can be seen . Nobody knows which people first settled in the Usambara’s, only that the ancestors of the present Sambaa people came hundreds of years ago. In the mid 18th century a Sambaa kingdom existed which had about 60.000 people. In the latter half of the 19th century it is reported that there was a lot of war and terror with neighboring tribes which ended with the German colonization. The Germans discovered the charm of the Usmabara’s and they established Lushoto (during those days Wilhelmsthal) and it was a favoured holiday spot for colonial administrators. Today you still find many traces of the German times. Tanganyika became a British mandate territory after World War I. The British administration continued to reserve and exploit forests. After independence in 1961 the Ujamaa politics or so called “African socialism” of president Nyerere brought one of the best organized village communities in Africa which still exists today in the Usmabara’s. Besides the historical sites the Usambaras have a lot of interesting places and activities. It is a exquisite place for hiking, bird watching, mountain biking or relaxing.